I haven't posted for a while as I focus as much free time as possible to "Iridium" game. While digging through my graphic archives I come across concepts. 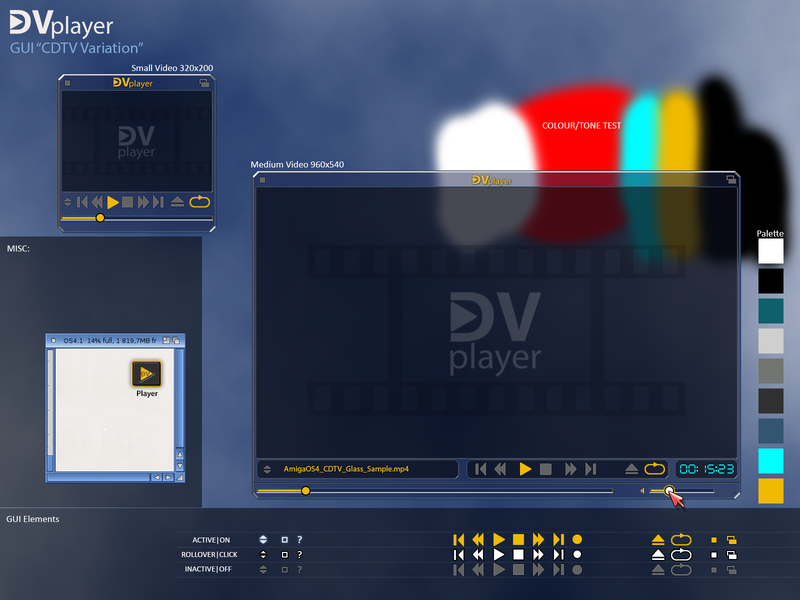 Here for example is an old (2014) concept for a DV Player for the AmigaOS. Always liked the CDTV interface and that is the inspiration for it. These days, I'd probably rework the interface and simplify it further.